In my home office/man cave. I see you have the adjustable wall plate. I've noticed that on Dutch's site. You happy with it? Yes, very pleased with it. They are only 12" long so you need to be reasonably precise with the mounting height. But other than that, very handy. 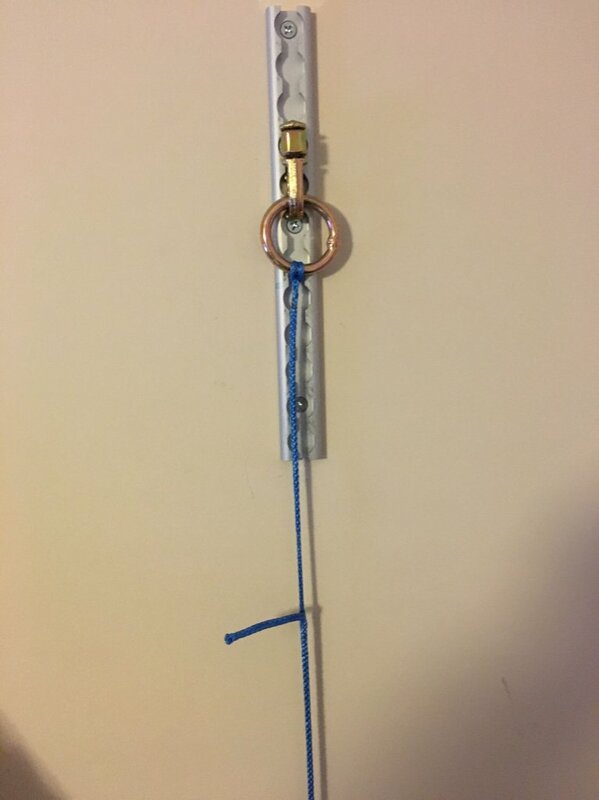 They are robust with 3 holes for your mounting bolts/screws...so long as you hit the center of the wall stud. 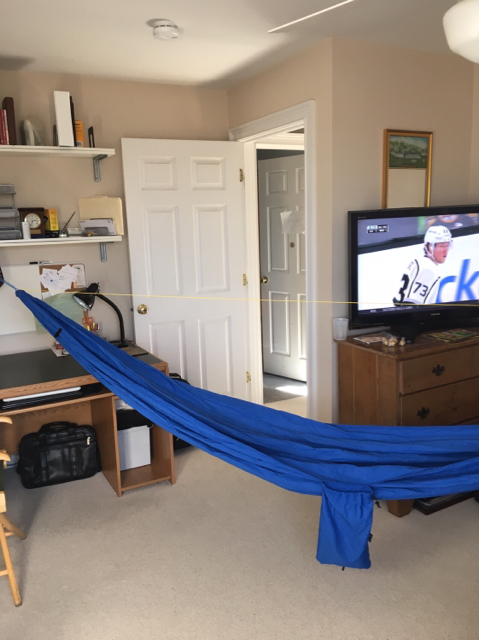 I like that I have some height adjustability to accommodate different length hammocks. I built some "mini" whoopie slings for easy attachment with some adjustability to the hammock continuous loops. Thanks! Looks like it's time to spend more money with Dutch...again....always....still. Dutch's pricing on the L-Track is as good if not better than the manufacturer/distributor. Plus Dutch has lots of other fun stuff! That's the problem! He has great stuff at great prices. So good that I keep buying more simply because they are so cool and so affordable. Heck, he even has his Hex 1.7 netless on sale for $30 right now...so I bought one. A different spot to hang. 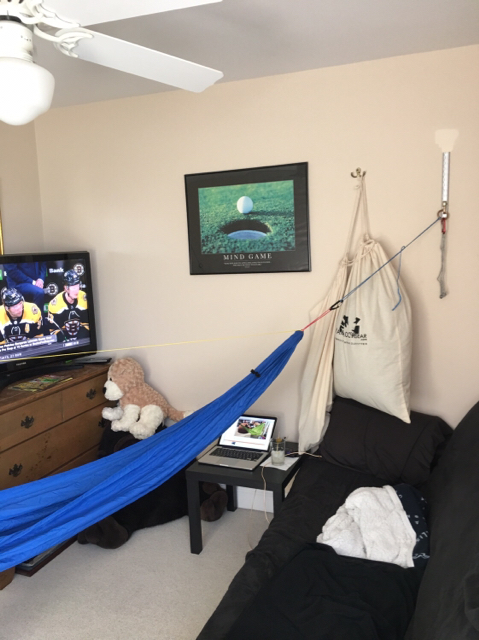 Not possible to hang a bridge hammock in a small room. Q: How to hang in a hotel room? Can I hang in this room?